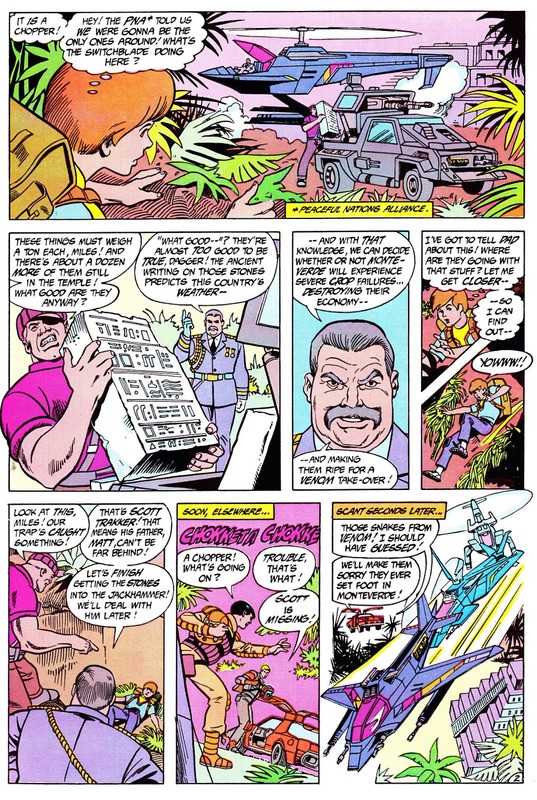 1985 Promo Comic Reveals A Treasure Of M.A.S.K. 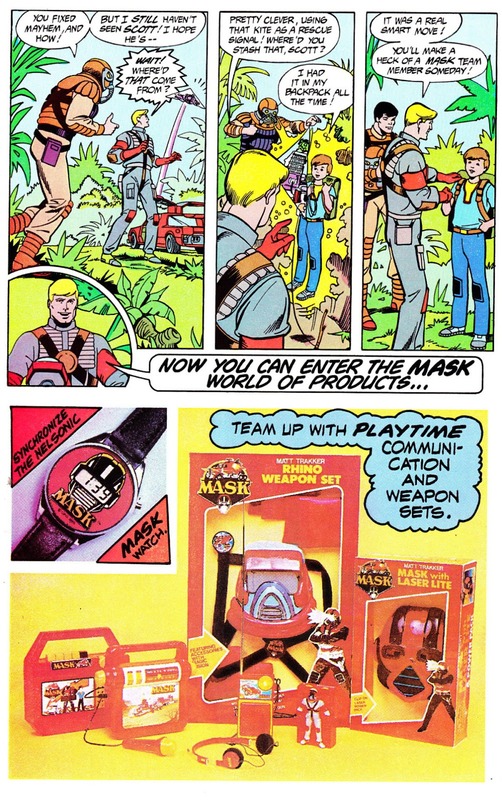 Merchandise - Agents of M.A.S.K. The cover promises us an adventure hidden within the pages of the book. Decode the secret message from 3 scrambled words and earn an entry into a sweepstakes to win a real Camaro or M.A.S.K. prizes! Before we get to the five and a half pages of M.A.S.K. merchandise including bed sheets and a Thunder Hawk ride-on big wheel, we must first discover the "Secret of the Temple." The best thing about the comic pages is definitely the art. 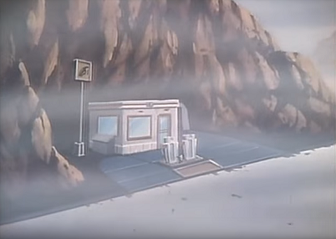 The vehicles and characters are well drawn and some cells show great action. But you can tell the story was probably slapped together based on the story missing some key components. 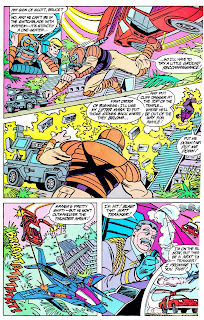 Of course, three and a half pages are hardly enough for a good story, but only the Lifter mask is shown and used. T-Bob is nowhere to be found (maybe that's a good thing, but still felt like he was missing.) 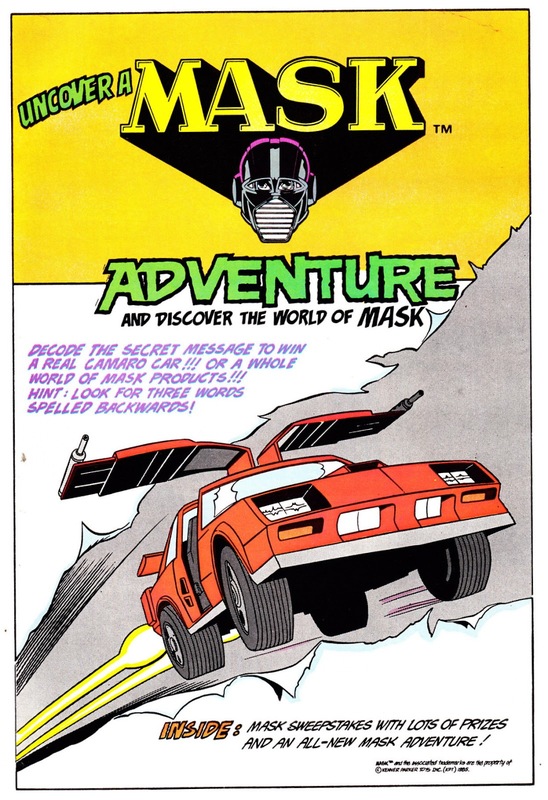 Also, as we've discussed on our comic book episodes of MASKast, using "the" before vehicle names just sounds odd. 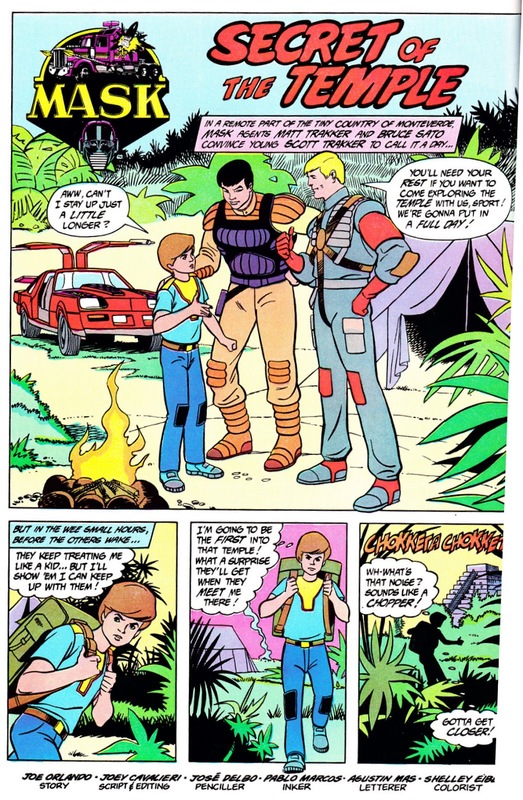 Zipping through the story though we see our first M.A.S.K. 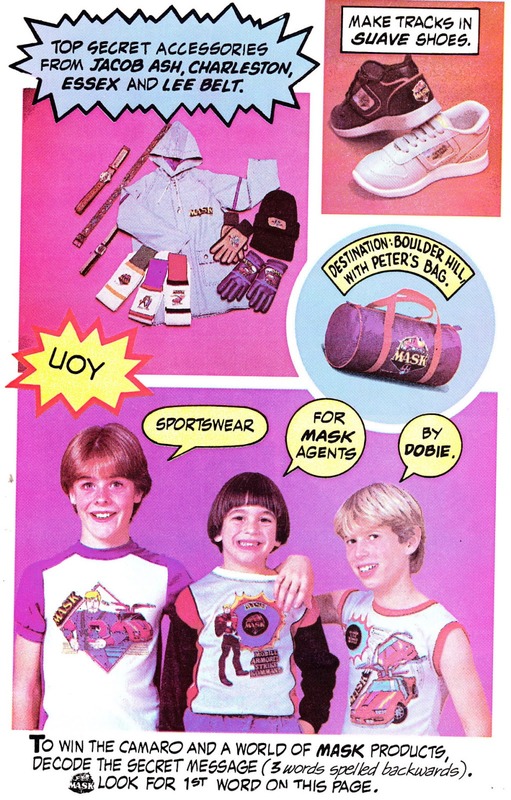 items including a wristwatch, a Rhino weapon set, and "laser lite" mask. The "weapon set" looks like it includes a portable AM/FM radio with headphones, another portable radio with microphone, and a separate cassette player! Alex and Bruce would be impressed with all these gadgets. 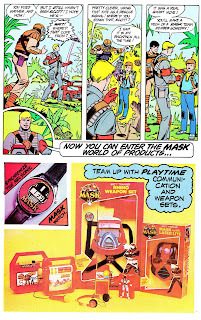 Lots of great items on this page including M.A.S.K. camping gear in the top left! I so want that Rhino tent! In the upper right corner, your birthday would be twice as awesome with M.A.S.K. party gear. 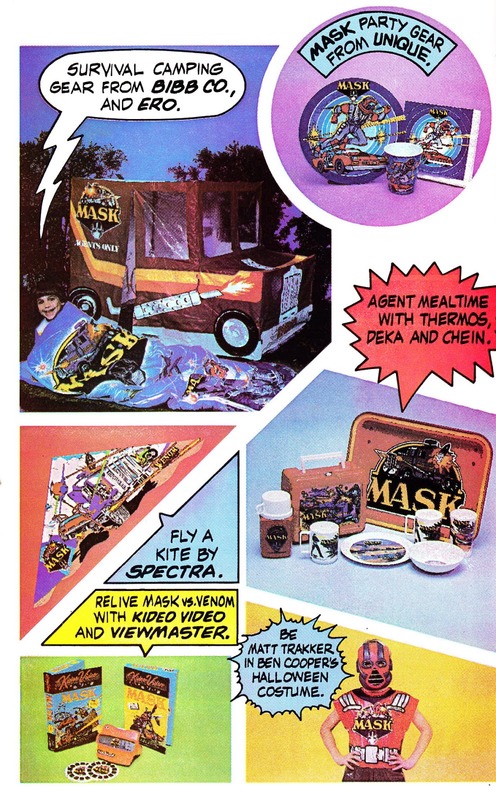 And below it, you could literally eat breakfast, lunch, and dinner with M.A.S.K. by using cups, bowls, plates, and the all-important lunchbox with thermos. 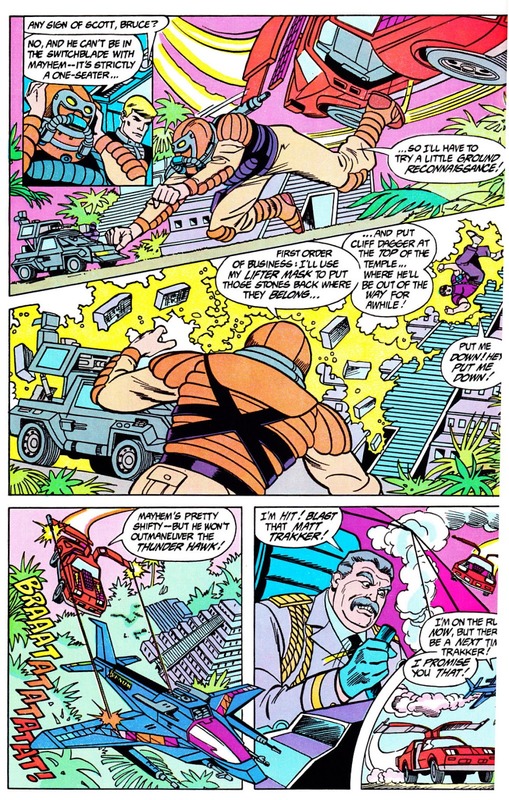 To the left, go fly a kite with Thunder Hawk, Rhino, and Condor! And at the bottom of the page, watch M.A.S.K. 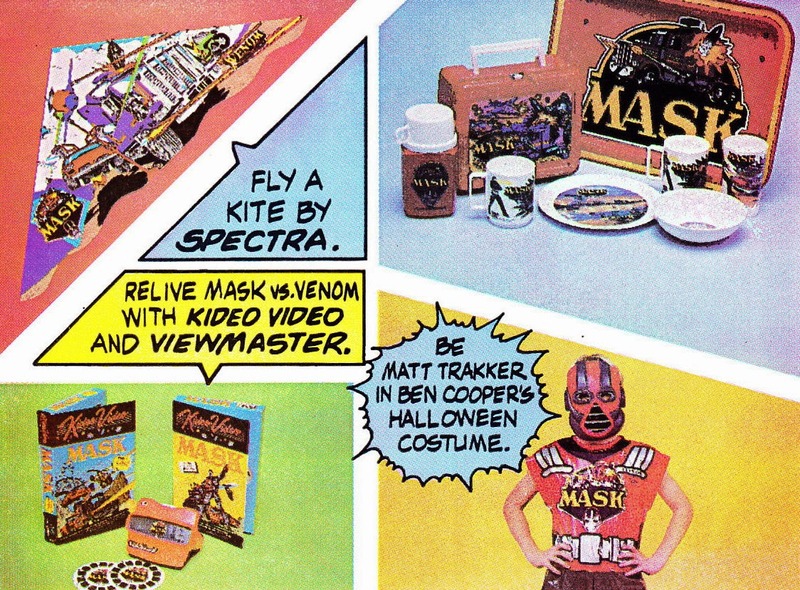 on video or Viewmaster and go trick-or-treating as Matt Trakker with a Halloween costume. 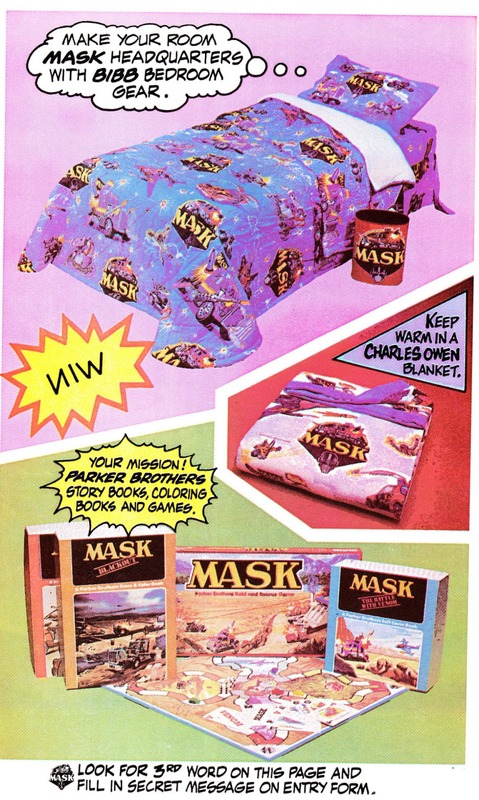 The next page offers sleepwear and "essentials" to make sure you dream about M.A.S.K. every night! More clothing and accessories on this page including t-shirts, a gym bag, sneakers, belts, gloves, and socks. I would've loved to have a pair of those black sneakers! This is the page that jumped out at me. I had no idea a Thunder Hawk big wheel existed! Check out the gull-wing compartments! I love the color scheme too with the picture on the back of the seat. 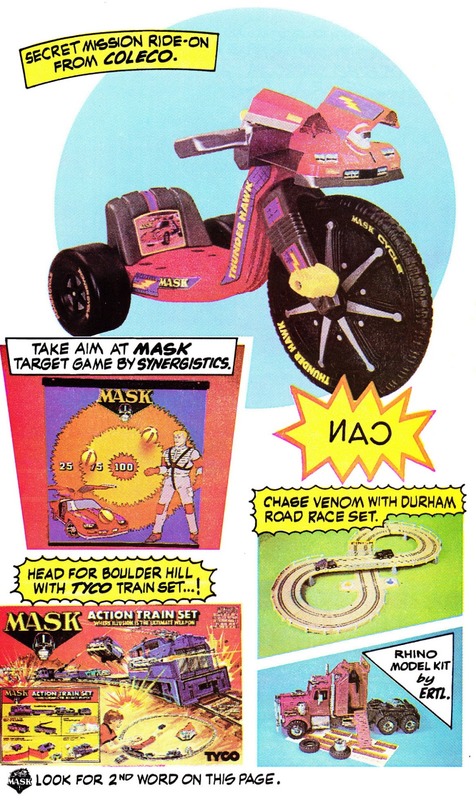 Below that on the page was a velcro ball target game (should have been a picture of Mayhem to throw at) and two electric racing sets. The Action Train set looked pretty cool with transforming parts, but the other racing set looked pretty ordinary except for the Rhino and Jackhammer cars. Also in the lower right corner was the Rhino model kit which look pretty detailed compared to the actual toy. Hope you've enjoyed this quick review. Let me know in the comments if you had (or have) any of the merchandise in this book in your collection!